The end of September saw us back onthe road again first of all with a short ride to a great pub for music lovers – The Noels Arms in Melton Mowbray. 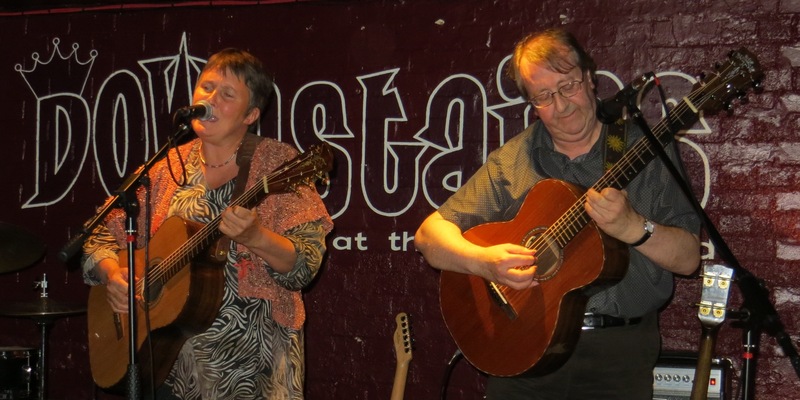 Craig and Jo are passionate about music and put on a great variety of live acts each weekend. 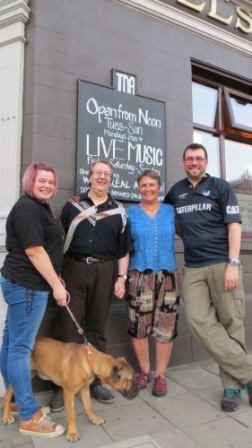 We played there on Sunday 22nd September between 4.00pm and 6.00pm, which seemed at first like a strange time .. but …. it actually works really well as it falls just late enough to have let the Sunday lunch go down and finishes in good time for people having to get up early for work on Monday. There was a great crowd of people there and we all enjoyed the splendid cheese board and locally cooked breads at teh break. We look forward to playing there again! Next stop was Evershed Arts in Billingshurst, West Sussex. 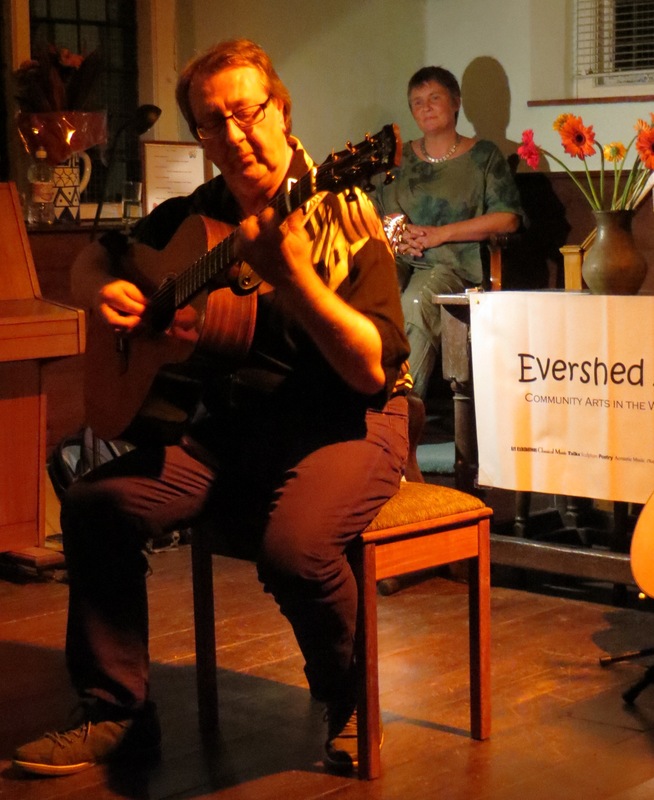 Evershed Arts is based in a tiny Unitarian Chapel built in 1754, ( just before Steve was born). It is part of the Community Arts Programme run by Stuart, Jan and other volunteers. The acoustics in the chapel are great so there was no need for a PA. We were thrilled to see and catch up with several friends in the audience who live nearby and came especially to hear us. Following superb hospitality, a spontaneous bit of recording and a great breakfast with Stuart and Jan, we ventured into London on Sunday 29th September to check out a couple of open mics. The first was on Sunday afternoon – Downstairs at The King’s Head in Crouch End. 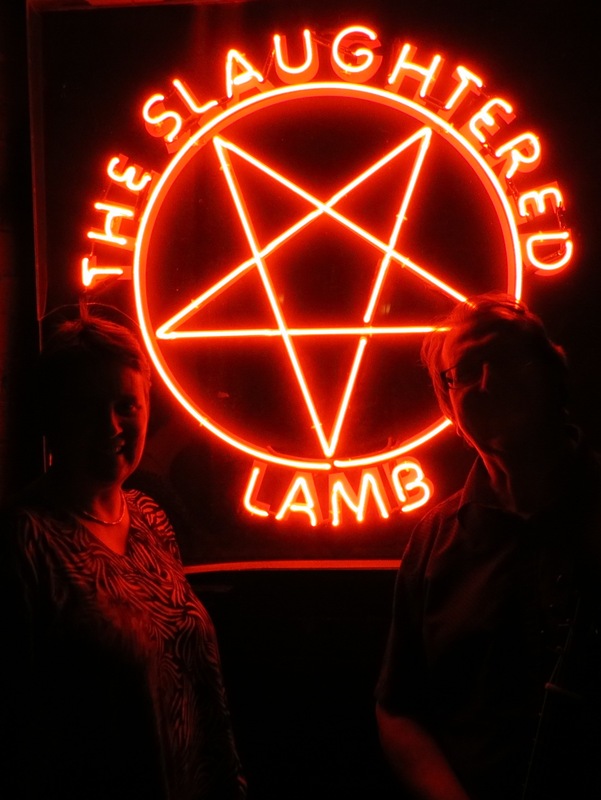 We really enjoyed, and were well received, playing a short set there. The other acts were all very different and all very talented. This was a great way to spend Sunday afternoon. 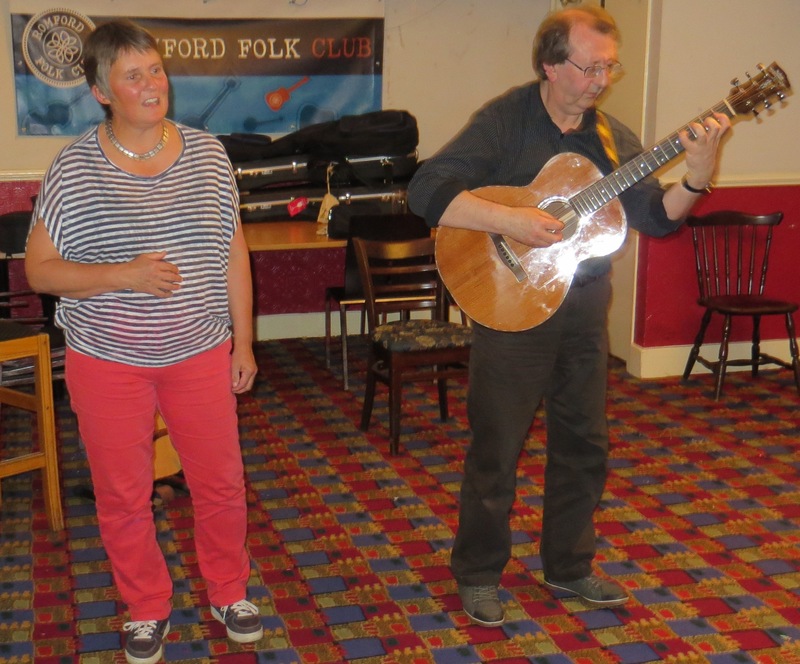 So, to complete our Southern tour, we played at Romford Folk Club on Tuesday 1st October. Well, we were greeted with a wonderfully warm Essex welcome! We were so chuffed that so many of the friends we’ve met at other clubs in Essex came to hear us. On top of all this of course, Steve is an Essex boy so he was right at home! The floor spots were very entertaining, (including one very rude song which amazed everybody), and the atmosphere was brilliant. Thanks for having us Mick and all at Romford. The first weekend in October was one that both Steve and I had been looking forward to and we set off in different directions. Steve had been invited to play at the Ullapool Guitar Festival in the far north of Scotland. I haven’t been to Ullapool but have heard that it is a very beautiful place and I would like to go there sometime, perhaps next year. Steve was all buzzy about it as he recounted his Ullapool experience to me. 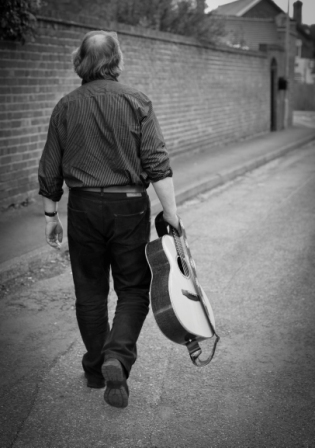 He had LOVED playing there, said the sound system was amazingly good and he was inspired by, and thoroughly enjoyed chatting with the other players there, too many to mention, but do check it out on the link .. and if you’re a real acoustic guitar enthusiast, put the date in your diary for next year! 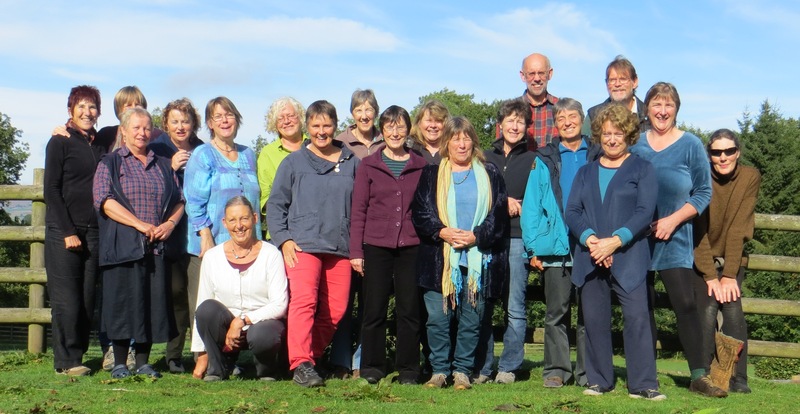 So while Steve was up in the wilds of Scotland, I was having a very indulgent weekend in the wilds of beautiful Shropshire, sharing songs and singing in harmony with a group of 18 people in very old chapels, some dating back to the 1200s, the chapels, not the people … This is the third year that the weekend, entitled, ‘Singing in Amazing Places’, has been run, (by the equally amazing Polly Bolton), but the first time that I’ve been able to go. We learned lots of of songs then went off, sometimes trekking across fields and revelled in the fantastic acoustics of these old buildings. The weather was exceedingly kind to us and we also enjoyed picnics en route. I’d only met one person in the group before the weekend but it felt like one big family by the end. What a smashing time we had! This entry was posted in Uncategorized and tagged Billingshurst, Clerkenwell, Crouch End, Downstairs at the Kings Head, Evershed Arts, Hicks and Goulbourn, Lynn Goulbourn, Melton Mowbray, Romford Folk Club, Steve Hicks, The Noels Arms, The Slaughtered Lamb, Ullapool Guitar Festival by admin. Bookmark the permalink.